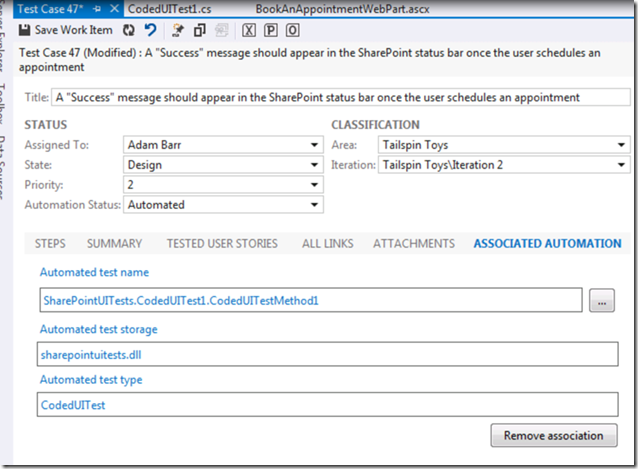 SharePoint Testing & Troubleshooting–What’s Next ? If you have been following my blog in December 2012, you have most probably felt my tendency to focus on SharePoint Testing & Troubleshooting. That’s true, it’s a green field that nobody is tackling nowadays and I believe it’s very important for enhancing the overall SharePoint Application lifecycle & delivery. The new features and enhancements in Visual Studio 2012 Update 1 are really cool; now we can say that we have a complete ALM story for building SharePoint Solutions. I just wanted to take a moment to let you know about my upcoming activities during the first Quarter of 2013. 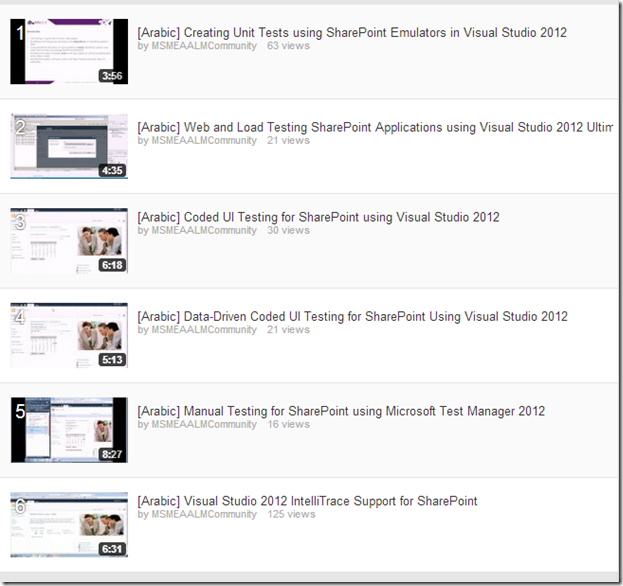 January 2013 – Arabic Video : Converting SharePoint Manual Tests to Automated ones using Visual Studio 2012. – Arabic Video : Exploratory Testing for SharePoint using Microsoft Test Manager 2012. – Arabic Video : Executing SharePoint Automated Tests in Virtual Lab Environments using Microsoft Test Manager 2012. 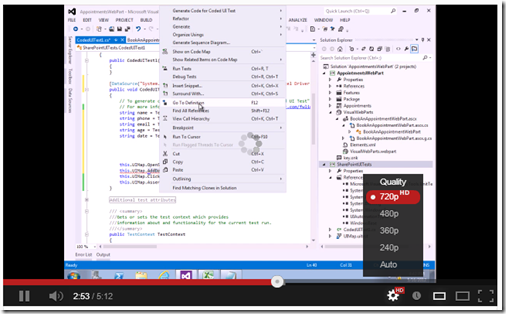 February 2013 – English Video : Coded UI Testing for SharePoint using Visual Studio 2012. – English Video : Data-Driven Coded UI Testing for SharePoint Using Visual Studio 2012. – English Video : Manual Testing for SharePoint using Microsoft Test Manager 2012. – English Video : Converting SharePoint Manual Tests to Automated ones using Visual Studio 2012. March 2013 – English Video : Executing SharePoint Automated Tests in Virtual Lab Environments using Microsoft Test Manager 2012. If you missed the previous videos, please check http://www.youtube.com/playlist?list=PLZIOt6kostj3yAvgsvMtqBk0J4wX1FQQR&feature=view_all , I’ll be updating the list with the new videos once I create them.